> Lens ring joint used in higher pressure than 3,000 lbs. > These gaskets had been used on pipe flanges in synthesizing line. 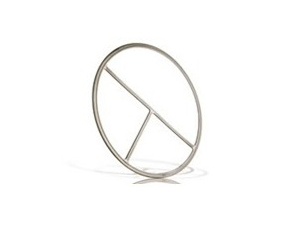 Lens Ring Gasket, also known as washer with ball face, is mainly used for the high pressure pipe connections. The primary function of lens ring gasket is to seal. 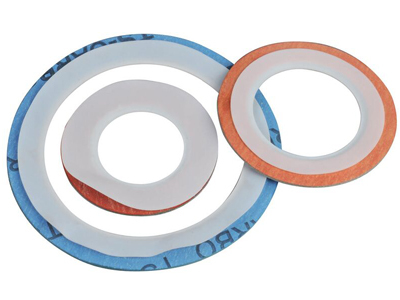 Metal lens gaskets includes metal flat gasket, triangular gasket, double cone ring, C-ring and C type gasket, ring gasket, serrated gasket, wave gasket and hollow o-ring, etc..
Perforated lens ring gasket is used for the flange seal of high pressure pipe. 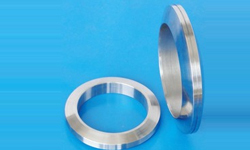 Blind lens ring gasket is used for the blind flange seal of high pressure pipe. The materials of lens ring gasket use the forgings, rolled materials and pipes. Blind lens ring gaskets use the forgings. 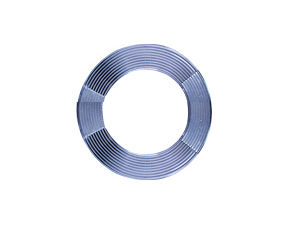 It is wide to use the lens ring gaskets to seal in the high pressure pipe connections. 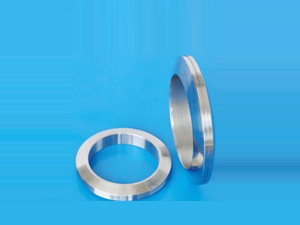 Seal faces of lens ring gaskets are ball surface, in contact with conical sealing surface of the pipe, the initial state is in a loop. By the action of the preload force, lens ring gasket has a plastic deformation at the contact point and the loop is into a belt loop, which has the better sealing performance. The contact face is naturally formed by spherical surface and beveled surface, so the gasket is easy for alignment. Lens ring gasket is the forced sealgasket. 1.Lens ring gasket is applicable for the pipe seal that the pressure isn't lower than 10MPa. 2.Lens ring gasket is of line seal, large expansion and contraction, large compensation and easy compact. 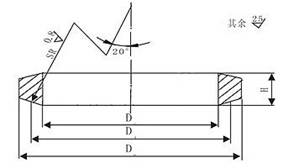 3.Due to contact with flange cone face, easy to have the pressing mark. The interchangeability of part is poor. 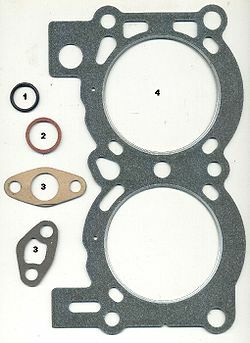 4.Lens ring gasket is also pressure energized, as well as the double-cone gasket. 5.The hardness of lens ring gasket must be15~20HB lower than the mating flange face hardness. 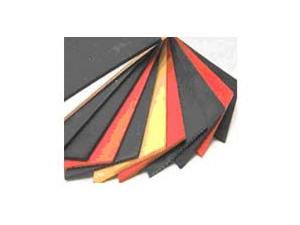 The gaskets are primarily used in the oil, gas, petrochemical and offshore industries. They are also commonly used on valves, pipe-work assemblies and vessel joints and are used to seal flanged connections subject to high pressures and temperatures. It can provide any standard and non-standard sizes, including the standards of API 6A, ASME B16.20, DIN 2693-67, JPI-7S-23-72,DIN-2696-1999 and other standards.